Ash dieback, caused by Hymenoscyphus fraxineus (aka Chalara) infection was first recorded in the UK in 2012. 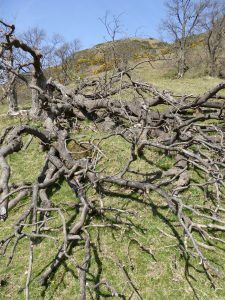 Symptoms include blackened or withered leaves, crown dieback and diamond-shaped bark lesions. The disease has been recorded in growing numbers of sites in England, Scotland and Wales, though Northern Ireland hasn’t reported any cases in the wider environment yet. In just three years, about one quarter of all 10km grid squares in the UK, now include infected ash sites. There are an estimated 126 million ash in the UK, some 10.7 million of these being in Scotland. European experience suggests we may lose up to 99% of our ash trees during the progression of the disease. Those that survive, may be under further threat in the future, as the invasive jewel beetle, Agrilus planipennis (Emerald Ash Borer, or EAB) is working westward and southward from Moscow through Russia, progressing at about 25 miles/year. In North America, some 7 billion ash trees are potentially under threat from EAB, which puts the UK situation into perspective. EAB attacks result in up to 100% mortality, so the prospects are bleak for ash and many associated species in the UK, Europe and North America. This problem is a direct result of increasing human, animal and plant movements and, coupled with the effects of global warming, is likely to herald a new era where we see ‘traditional’, or long-established landscapes, rapidly transformed through plant and animal species losses. Scientists are working on various projects to save our ash trees and their associated plants, animals and fungi. Biosecurity has been stepped up a gear, replacement planting programmes are being devised (using species which offer some habitat continuity for associated ash species) and genetic research has included the successful gene mapping of a British ash, a resistant tree from Denmark and the actual fungus, Hymenoscyphus fraxineus. Six tree breeding methodologies are being explored by Queen Mary, University of London, including GM, hybridisation and back-crossing. All 35 global ash species will be researched, including some from China which show resistance to the disease. Conventional breeding would take many decades, and GM would undoubtedly be quicker. There is however, a public perception that GM is problematic and research carried out by Oxford University (N=1400) suggests highest public acceptability is for breeding native tolerant ash, using accelerated breeding to breed native tolerant ash, and cross-breeding of native ash with non-native ash. RBGE has provided the Forestry Commission and Queen Mary’s with genetic material from the Living Collection, for use in their research work on ash dieback. 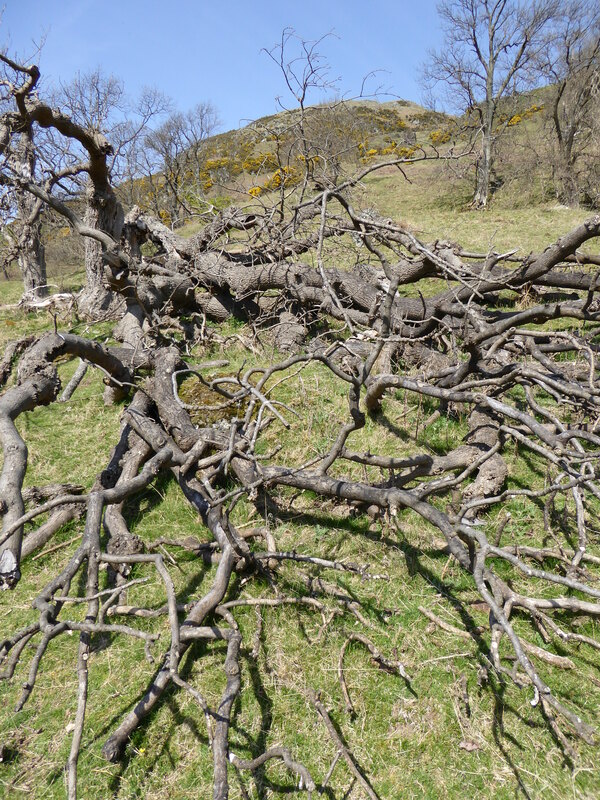 For further information about ash dieback, visit https://www.ashdieback.net/ where the ‘useful links’ section provides information on the likely Scottish/UK ecological impacts, timber treatment and movement legislation, and chemical treatment test results.